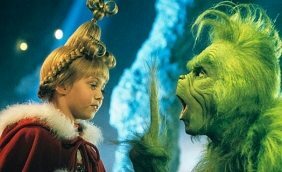 Alan Pardew has taken inspiration from The Grinch and stole Christmas from the players and staff. “It’s out of respect to our fans and what we’ve served them this year. There’s no party for us and the same for the staff, that’s how it should be. Trust me, there have been some horrible things said about our group and our staff, but we’re together. We’re fighting and trying to put it right. The fans have to realise this isn’t just a game to us, it’s our livelihoods and profession – it pays our bills. Looking at all those factors we’ve not done enough this year, that’s why I think it is right we called it off”. I think it is a bit harsh on ordinary staff to have their Xmas bash snatched away because the players haven’t got results on the pitch and what would be a great story would be if the players now got together and funded a Christmas bonus for the staff who are on ordinary pay. Not quite sure though if Alan Pardew will have generated much sympathy when talking about players earning tens of thousands of pounds a week and having to pay their bills.